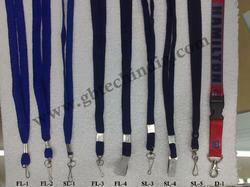 Some call it lanyard cord, plastic lace / lacing or craft lace. We have the largest selection of colors available on the entire web at the Best Price! Size: 3/32' wide, 100 yard (91 meters). Vinyl craft lacing in durable non-toxic, non-bleed colors. Perfect for camp school and party crafts. All sorts of different stitches you can make including the box, Chinese staircase, or the cobra. Most use them to make key chains, bracelets and necklaces. Perfect, inexpensive kids project. We also carry the books, kits and accessories!